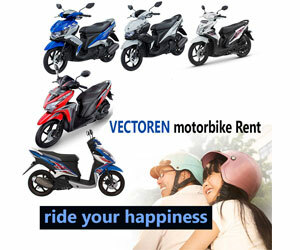 Welcome to Vectoren ( www.vectoren.com )– one of the best motorbike rental, Bandung, companies. We offer a large collection of leading motorbikes and scooter brands at low-priced and affordable rentals. Whether you’re living in Bandung or travelling here and need motorbikes for rent or a scooter for hire, Vectoren is at your service! We make hiring a scooter in Bandung, easy with a secure payment method and customized rental plans, as per your budget. 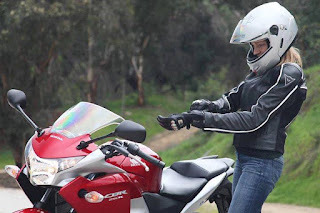 This allows you to pay scooter rental and motorcycle rental without draining your pockets and leaving some for fuel and food. At Vectoren, we care about our customers more than any other rental company. We offer complimentary clean helmets with all our bikes and deliver the motorbike at your doorstep as soon as you enter in to an agreement with us. In addition, our 24/7 roadside and off-road assistance make your journey and stay in Bandung as smooth as ever! Contact us today for the best motorbike hire services in Bandung. Reservation : +6281312667475 , Whatsapp Available. Terimakasih Vectoren Rental, recommended klo ke bandung buat rental motor, harga nya murah buat sewa nya dan mas nya baik dan ramah, sukses terus mas usaha nya.